There is much talk today about urban design and creating great places, and a higher demand for truly great architecture and design. Pick up ‘vision’ documents produced by local authorities and regeneration agencies, and without fail they will talk about ‘gateways’, and ‘landmarks’. Well, Stoke-on-Trent possesses one of the finest gateways in the country in Winton Square; step off the train in Stoke-on-Trent and you are met with one of the finest examples of Victorian urban planning you are likely to come across, and two great landmarks in Stoke-on-Trent Railway Station and the North Stafford Hotel, both of which are Grade II* Listed. Laid out in 1847 and completed in 1848 by H. A. Hunt for the North Staffordshire Railway Company (or ‘the Knotty’ as it was known), the area was at the height of rail mania. Indeed, at one point – including local mineral lines – North Staffordshire had the densest local rail network in Europe. What would the region give for this now, in these days of mass car ownership and environment strangling congestion? Built in brick and sandstone to a beautifully detailed Elizabethan and Jacobean design, such an approach was a common theme across all of the railway company’s main stations (another excellent local example being Stone Railway Station), with the clear intention of making a major statement on behalf of themselves, and the area. 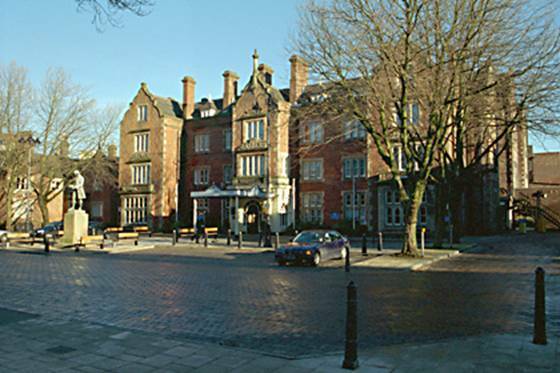 Even that renowned critic of the Potteries, Sir Nikolaus Pevsner (“the Five Towns are an urban tragedy”), was suitably impressed calling Winton Square “the finest piece of Victorian axial planning in the County”, and this has been recognised locally; Winton Square was one of the city’s first Conservation Areas, and is home to eight Listed Buildings. 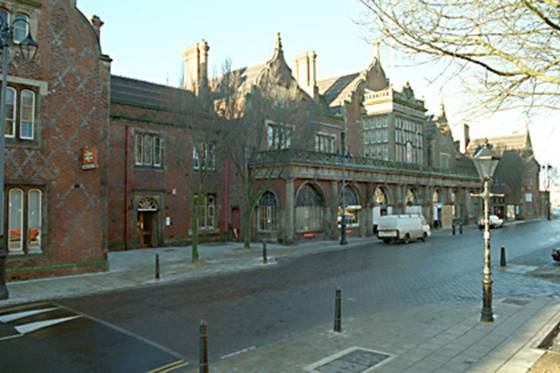 Recently I had an interesting discussion with an architect from a large, well-known practice around how public spaces worked, and asked him if he knew Winton Square and Stoke-on-Trent Railway Station. His response was “when I arrive in Stoke-on-Trent, I normally close my eyes”. The fool; you can only learn with your eyes open, and this would be great learning material for any aspiring, or indeed, experienced designer. It is far from perfect though; unfortunately Winton Square is dominated by traffic, and the southern and northern approaches on the main rail line are equally unimpressive with their grim post-industrial landscapes. However, we are in the age of ‘comprehensive regeneration’, and providing that the mistakes of the 1960s and 1970s are not repeated, this presents a major opportunity to enhance the gateway to Stoke-on-Trent: Winton Square is at the heart of the University Quarter where there are plans for huge investment by our local further and higher education institutions, and around a mile to the north on the edge of the City Centre, plans are being shaped to create a major destination for business and investment with the creation of a new business district. Surely there is an innovative engineering solution that could divert the obtrusive traffic away from Winton Square in order for it to fulfil its potential and become a truly great public space? Is there a way for our local authority and local transport providers to work together and design a means of rapid transit from the station and onto the new business district and City Centre? Only time will tell, but in the mean time, Winton Square continues to bellow, ‘Welcome to Stoke-on-Trent’.